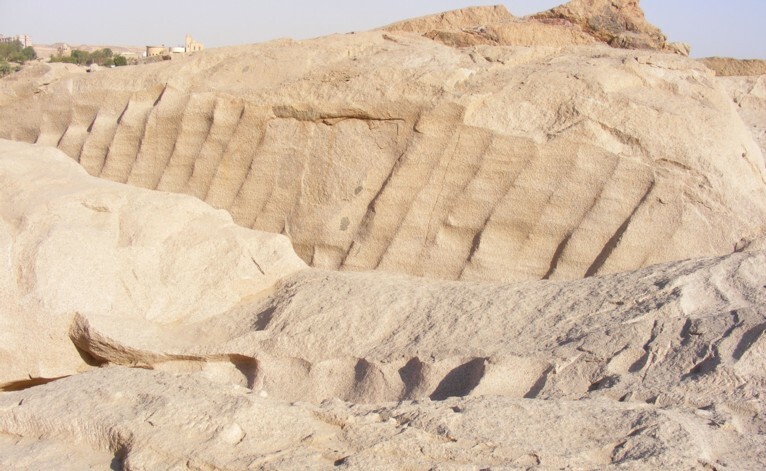 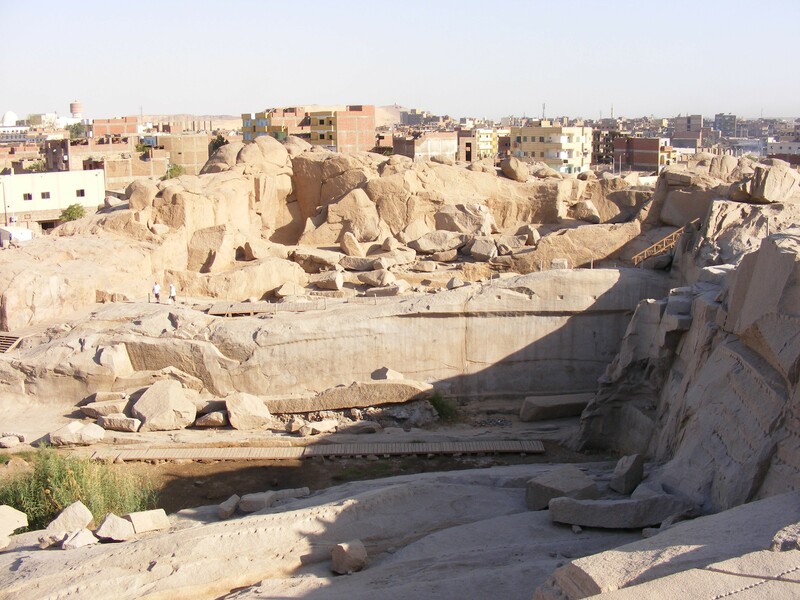 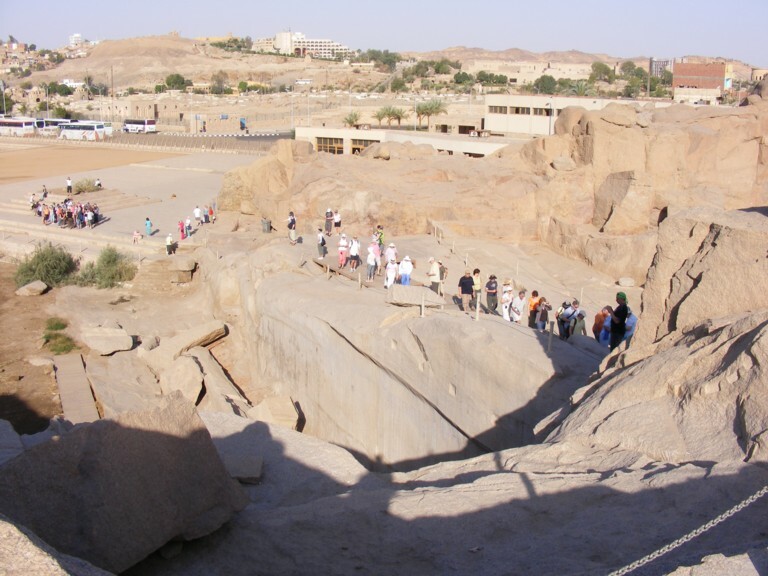 The first visit was to a pink granite quarry in Aswan. 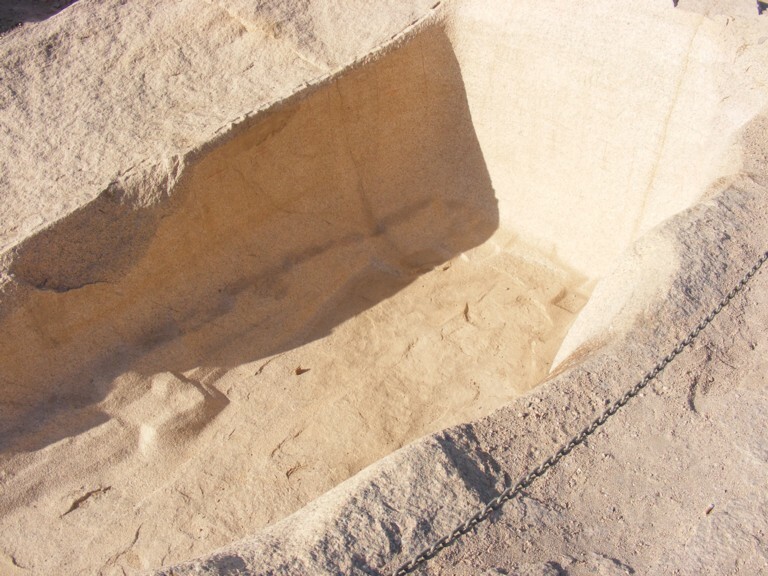 The stone from here was used all over Egypt where strength was required. 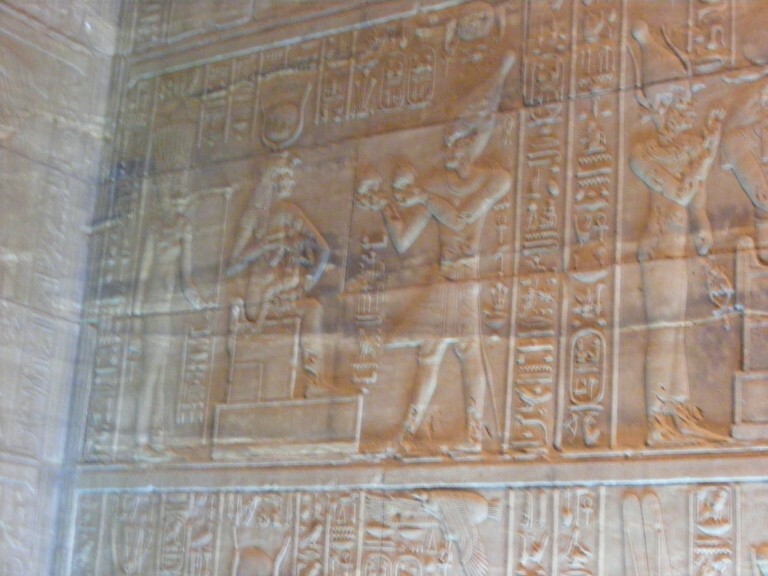 It was used in the Great Pyramid at Giza for some internal ceilings and to block some entrances after the sarcophagus was finally interred. 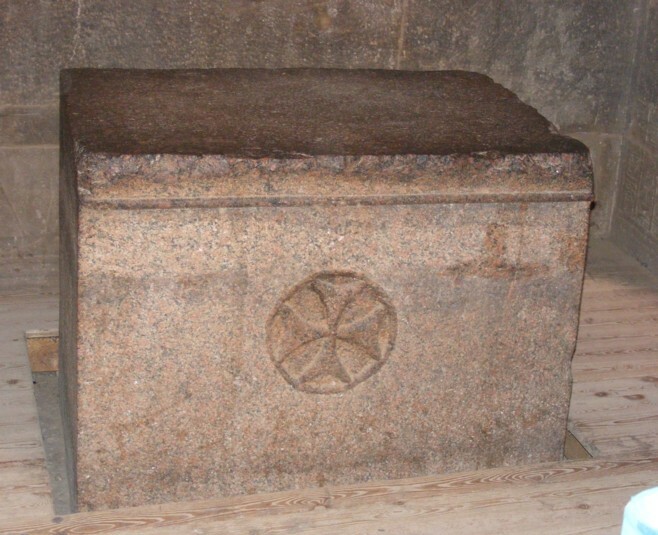 Many statues were made from this pink granite. 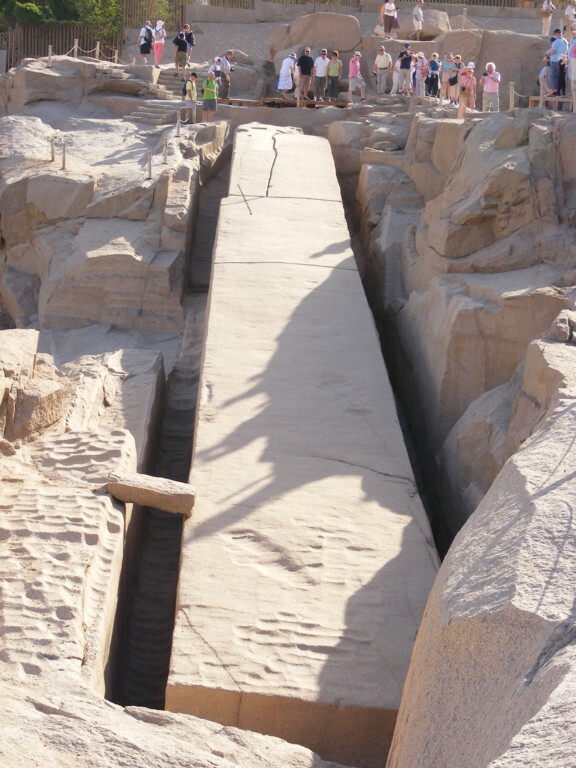 An item of special interest is the unfinished obelisk which cracked badly before it was extracted. 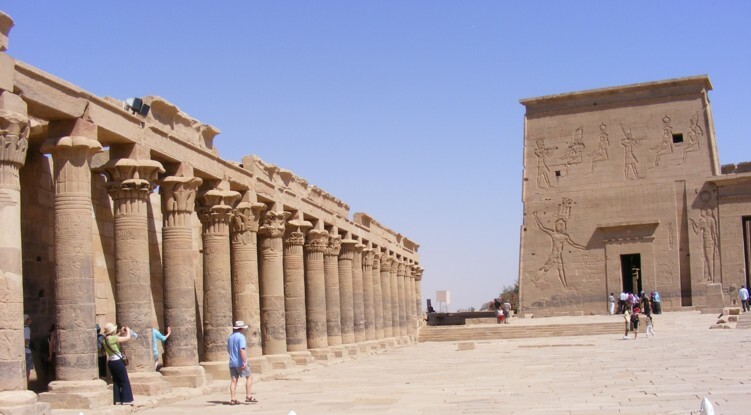 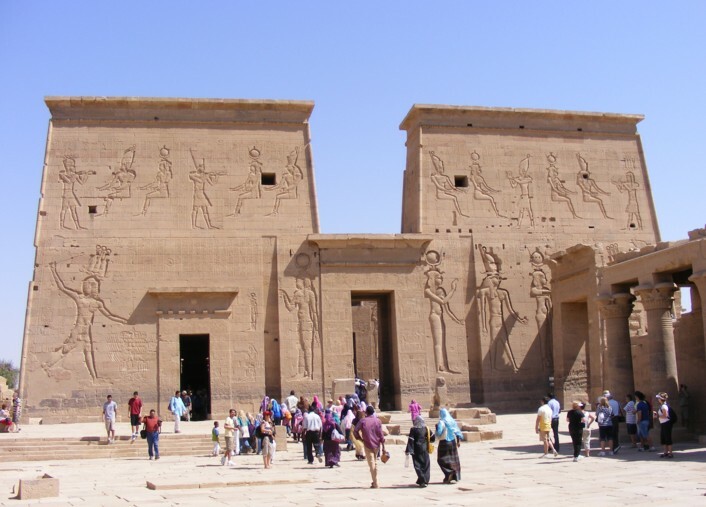 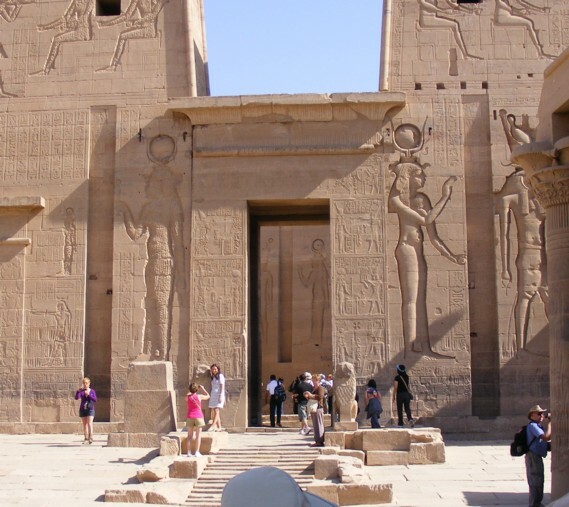 The temple of Philae was drowned by rising waters after the first dam was finished. 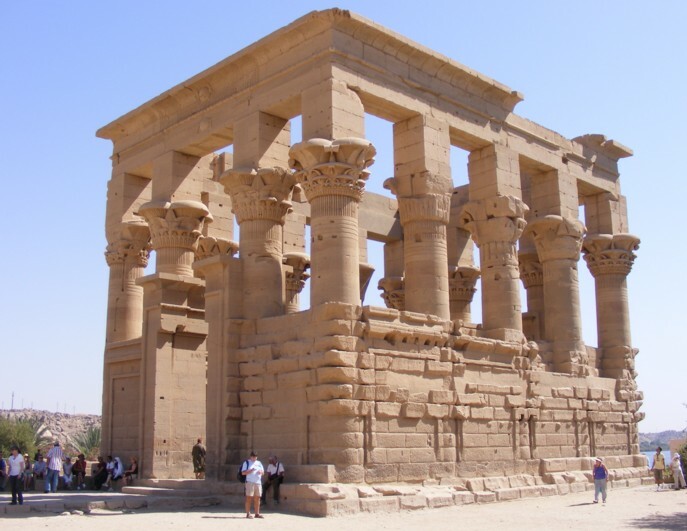 The whole temple was removed and transferred to a higher island nearby. 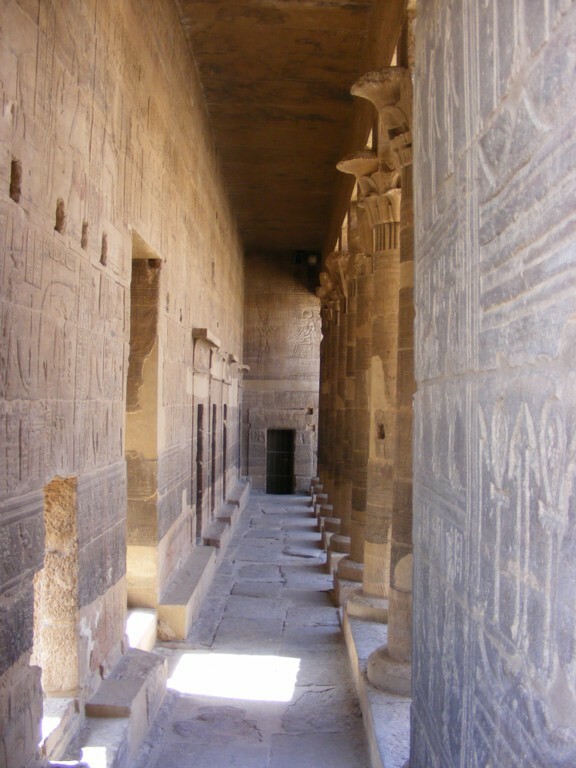 As with many similar temples and tombs, most available surfaces were decorated with painted relief commentaries on life and ceremonies. 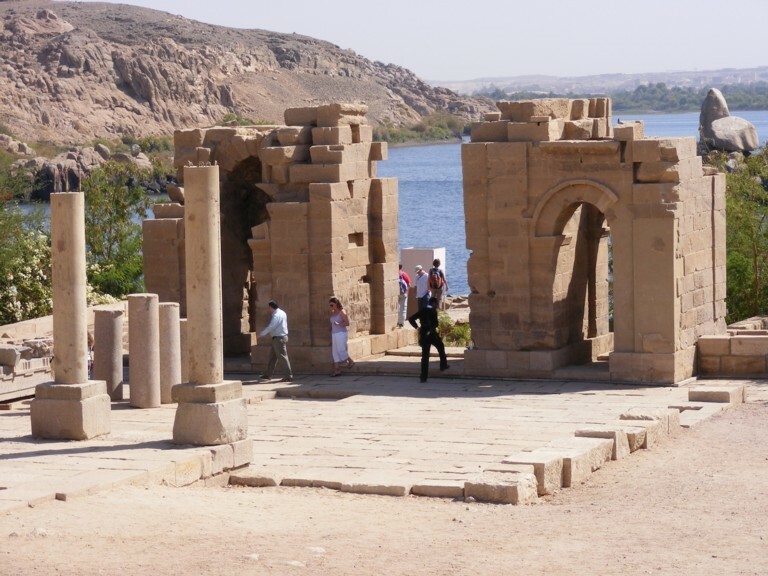 The first Aswan Dam was built by a British engineer and completed in 1902 with subsequent modifications over the years until 1933. 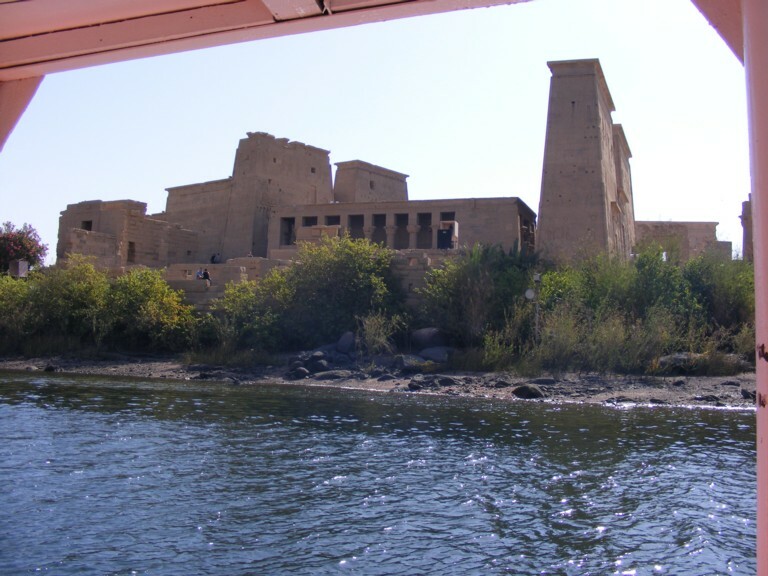 Planning for the Aswan High Dam was started in 1955 and the Dam was completed in 1970. 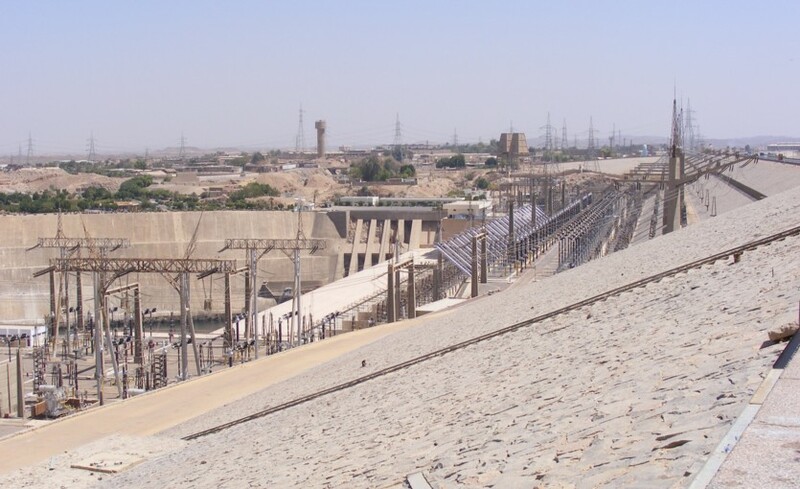 The annual inundation is now controlled and substantial amounts of electricity are generated. 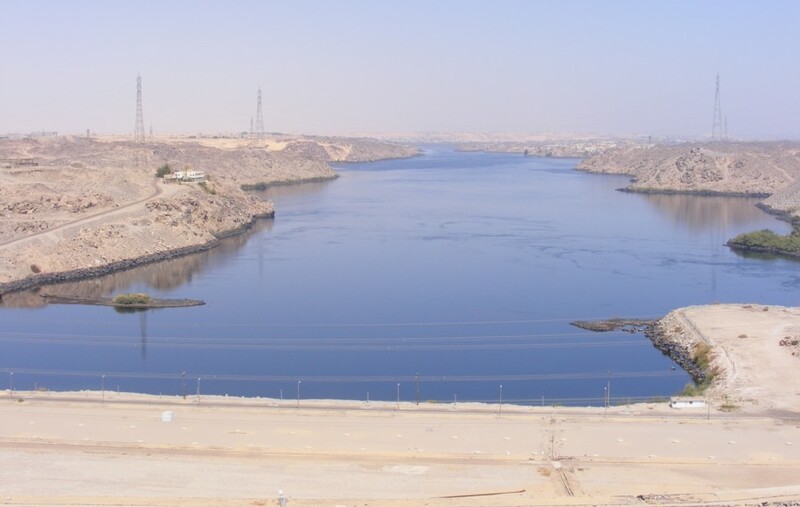 However, there are ongoing problems arising from the removal of the annual inundation - fishing is affected in the river and Mediterranean Sea, fertility of the northern river basin has been affected, and Lake Nasser is silting up.